"It's a smile; it's a kiss, it's a sip of wine ... it's summertime!” No, Kenny Chesney isn't here this weekend but someone who wants to fill your heart with gladness, take away all your sadness and ease your troubles is! From Rod Stewart in concert with Cyndi Lauper to THE Luckiest Day in the decade, there are plenty of things to do following what we hope was one of your best years ever celebrating the 4th of July here in Tampa Bay. The weekend is on the horizon Tampa Bay, time to plan! Pythagoras decreed the number seven lucky long ago in Ancient Greece. Superstition or reality it is something we hold on to, and enjoy. From Noon to 7 pm at Seminole Hard Rock Hotel & Casino Tampa this Friday the 7th, you can win over $100,000 in Prizes! 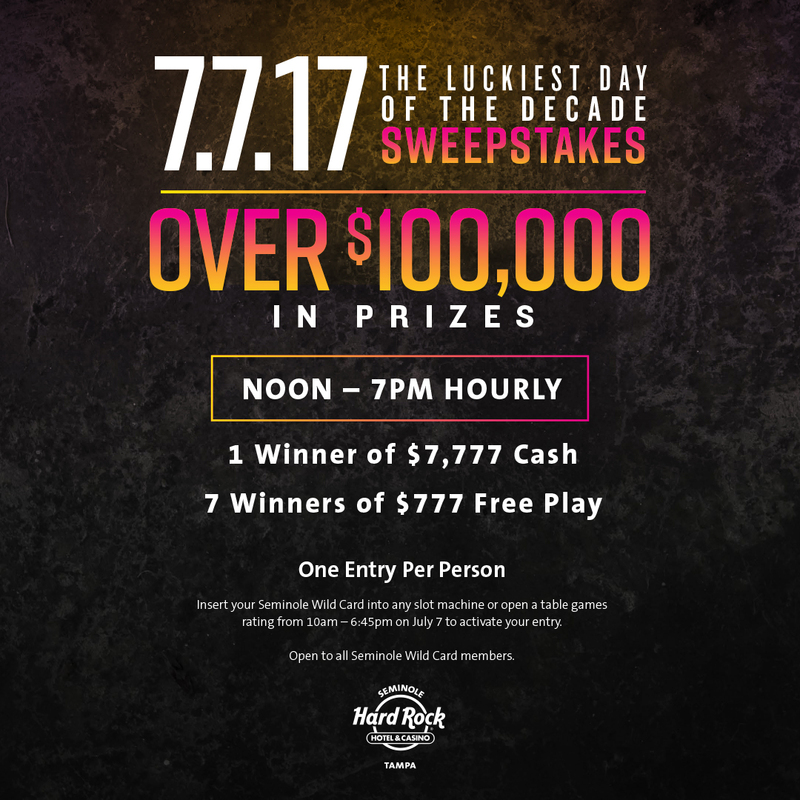 The Hard Rock will announce seven winners of $777 in Free Play and one winner of $7,777 in Cash every hour! 4802 N US Highway 301, Tampa FL, 33610. USF Bull Runner buses will run from 7 - 11 pm, click the link above for more details and get ready to light up your summer at USF Riverfront Park with free canoeing, glow games, snacks and much, much more! The first 100 students get a free t-shirt to decorate with glow materials. For questions talk to your RA or call USF Recreation Dept. 6200 E Fletcher Ave, Tampa FL, 33617. You are more likely to be injured by a cow than a shark! It's true! Learn more about this fascinating creature at SharkCon 2017, Tampa Bay's ocean conservation, scuba, and water sports expo. Hear speakers from Shark Week, National Geographic, iconic shark movies, and much more. 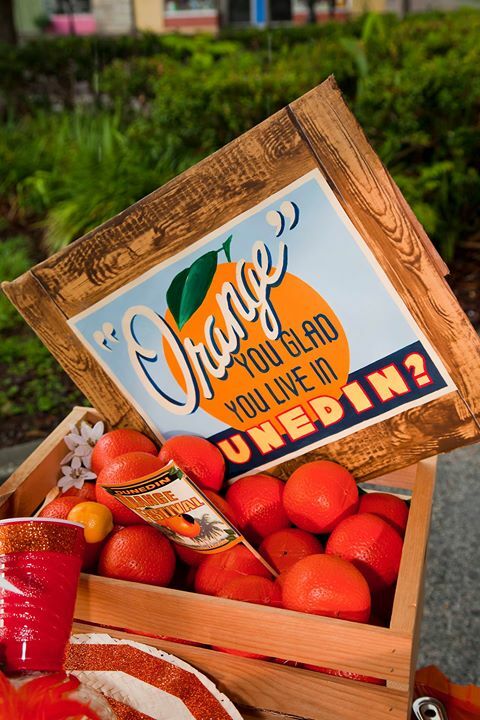 A family-friendly event in Tampa, there will be plenty of fun things to do for every member of the family. The popular PBS's ArtsPlus series is coming to Stageworks Theatre. 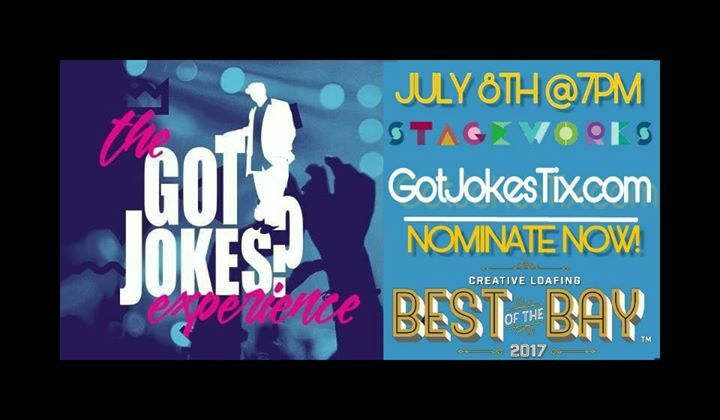 This Improv troupe takes audience suggestions and brings them to life on stage in a hilarious way. If you've not seen the show, or are already a huge fan, this is your chance to share your thoughts and see them 'Play" out on stage. 1120 East Kennedy Boulevard, West Bldg., #151, Tampa FL, 33602. 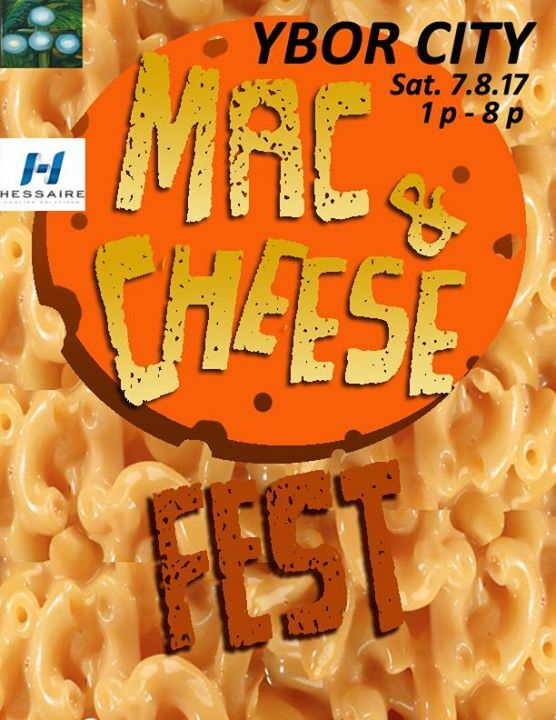 Enjoy FREE admission to Ybor City's Mac n Cheese Fest as food trucks from across Tampa Bay converge on historic Ybor City to serve their best Mac and Cheese dishes, click over to their Event Page using the title link to see which trucks are already signed up. 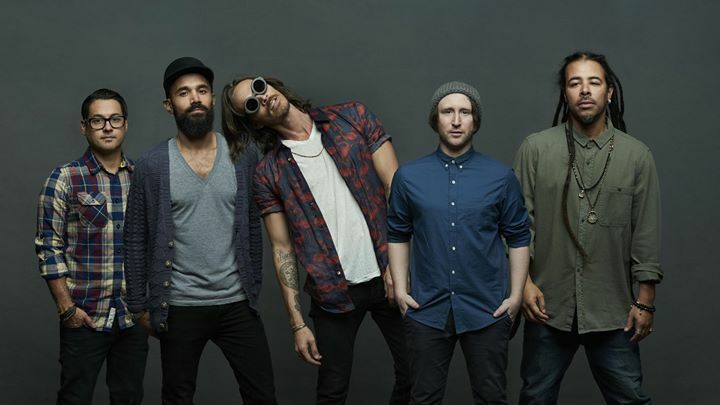 You will find the fest at Centro Asturiano de Tampa where you can dance to Tampa Bay's #1 Reggae band, Jah Movement. Adult beverages will be available; this event is pet-friendly too! 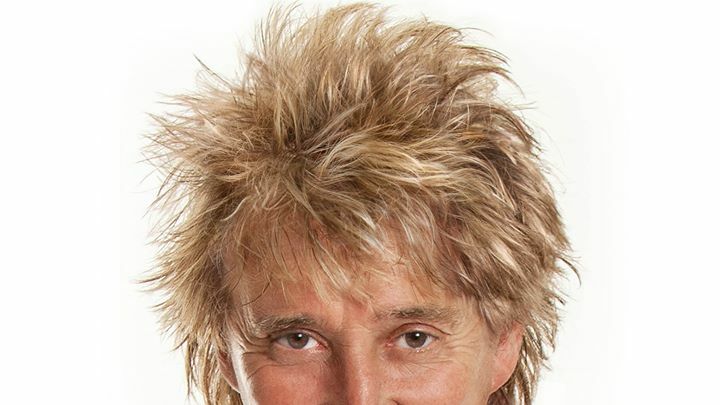 Winning nearly every industry award, Saturday brings the iconic, ever smooth Rod Stewart to town. A most humble superstar, Stewart's career spans decades as today's fans discover the beauty of his unmistakable raspy whisper. Then there's Cyndi Lauper, the original party girl we all want to hang out with. Ageless, she continues to entertain audiences with past hits like 'Girls Just Wanna Have Fun,' 'True Colors' and an electrifying cover of 'Money Changes Everything.' This is a concert event in Tampa Bay you do not want to miss! 401 Channelside Dr, Tampa FL, 33602. 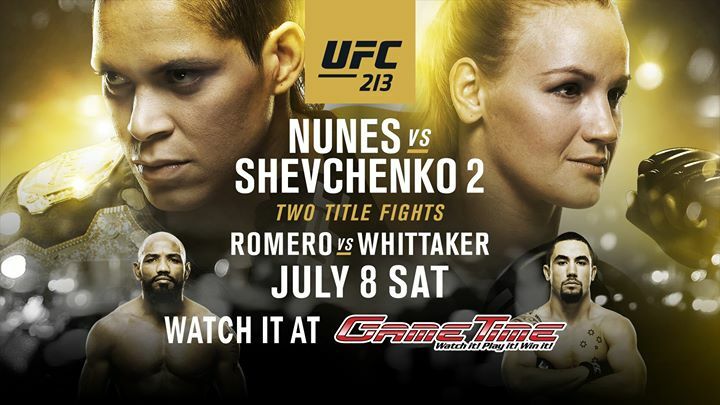 GameTime at Centro Ybor will carry the UFC 213 Nunes vs. Shevchenko 2 fight live on Saturday, July 8th! There's NO COVER to attend; your entire party, however, must be with you, no seat-saving for this one! Enjoy food and drink specials in the sports bar and GameTime specials in the game room. 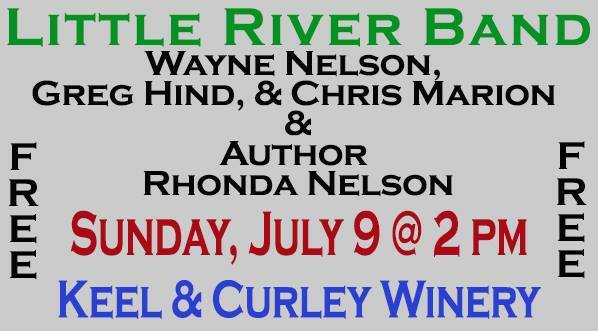 Please join Little River Band's Wayne Nelson & author Rhonda Nelson at Keel and Curley Winery, also home to Two Henry's Brewing as the Little River Band plays their hits! If you are a fan of Romance Novels, you can meet New York Times best-selling author, two-time RITA nominee, and National Readers’ Choice Award Winner Rhonda Nelson as she discusses her hot romantic comedies. With more than forty-five published books to her credit learn how she dreams up her characters and manipulates the worlds where they live. Enjoy the beautiful setting that is Keel and Curley, take a tour of the brewery, enjoy the patio, the cider and craft beer bars and order delicious food from the menu. 5210 Thonotosassa Rd, Plant City FL, 33565. As Mr. Stewart reminds us---- the morning sun in all its glory greets the day with hope and comfort too...fill your life with laughter...make it better ...We are hoping this list of events in Tampa Bay and things to do this weekend will keep you laughing, and make your weekend glorious!